↑ 1.0 1.1 "Mauna Loa, Hawaii". Peakbagger.com. สืบค้นเมื่อ 12 December 2012. 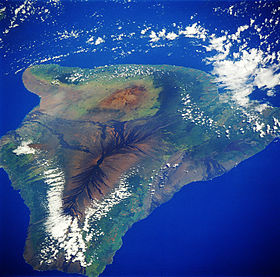 ↑ 2.0 2.1 "Mauna Loa: Earth's Largest Volcano". Hawaiian Volcano Observatory – United States Geological Service. 2 February 2006. สืบค้นเมื่อ 9 December 2012. ↑ "Period of Record General Climate Summary - Temperature". MAUNA LOA SLOPE OBS, HAWAII. NOAA. สืบค้นเมื่อ 2012-06-05. 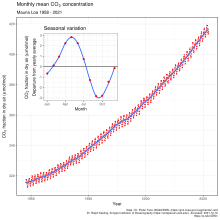 ↑ "Period of Record Monthly Climate Summary". MAUNA LOA SLOPE OBS, HAWAII. NOAA. สืบค้นเมื่อ 2012-06-05. ↑ "Live panorama of Mokuaweoweo". United States Geological Survey, Hawaii Volcanoes Observatory web site. สืบค้นเมื่อ 2009-07-04. หน้านี้แก้ไขล่าสุดเมื่อวันที่ 9 กรกฎาคม 2561 เวลา 10:05 น.